Need evergreen ideas for sun, deep shade, and in-between? Jessica Robertson from wholesale Greenleaf Nursery Company texturizes with easy care plants for structure, screening, and groundcover. Trisha Shirey and Tennessee gardener Barbara Wise explore hardy plants for shady gardens. Daphne analyzes a chinkapin oak’s peeling bark and highlights viewer photos from their gardens.And, get a photo tip from North Carolina gardener and photographer Tonya Peele who illustrates why to go for the “golden hour.” On tour at the Helping Center Garden in Marble Falls, the Highland Lakes Master Gardeners and community volunteers turned rocky land into productive soil to grow food for their neighbors. 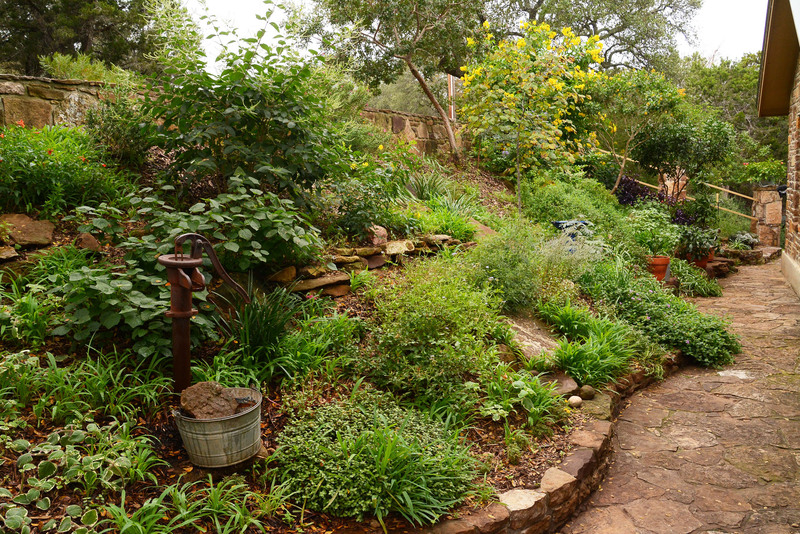 At the Helping Center Garden in Marble Falls, the Highland Lakes Master Gardeners and community volunteers turned rocky land into productive soil to grow food for their neighbors. 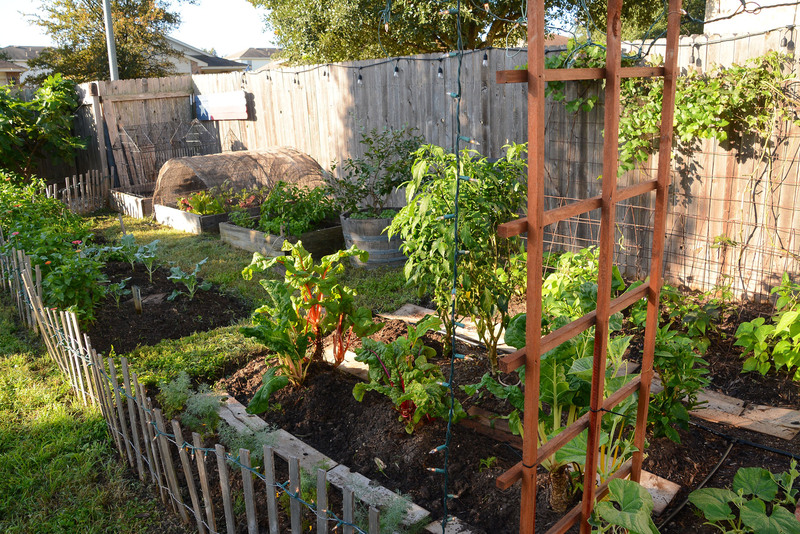 Get their tips for bountiful success. 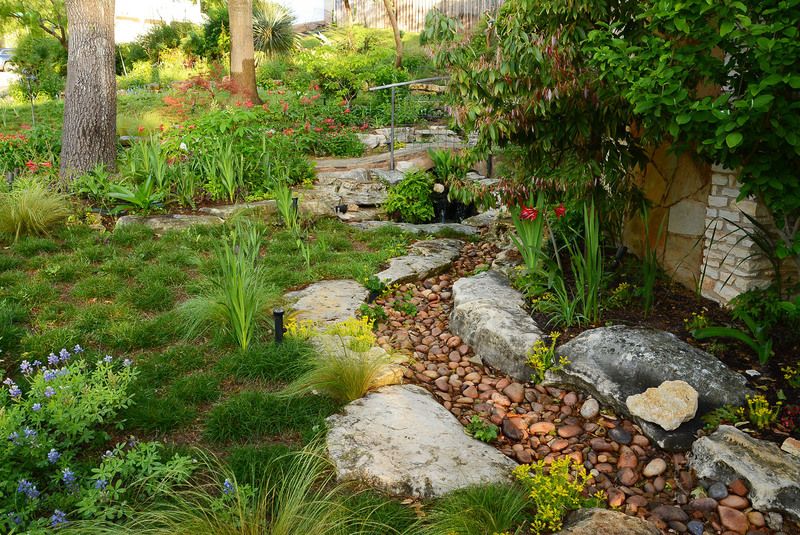 Need evergreen ideas for sun, deep shade, and in-between? Jessica Robertson from wholesale Greenleaf Nursery Company texturizes with easy care plants for structure, screening, and groundcover. My chinkapin oak’s bark is peeling. And there are white spots on the leaves. Thanks to Dan Martaus for this great question: peeling bark on a chinkapin oak and white spots on its leaves. He’s concerned because he’s never seen these issues on his tree before. We consulted certified arborist April Rose, City of Austin Urban Forest Health Coordinator who tells us that everything looks natural for this tree. The peeling bark and color change are normal for this particular oak, and occur with growth and age, which is why you’d never noticed them before. We get similar questions every year on Monterrey oaks, which have a similar color-changing habit. The leaf spots, however, are not part of the tree’s natural growth habit, but also are not cause for alarm: they’re symptomatic of one of the many normal leaf fungi that are common on trees when we have high relative humidity and an abundance of rainfall as we did in late summer and fall 2018. Looking beyond the leaves and bark, it’s noteworthy that the tree is planted properly: the trunk flare looks good, and you can see the taper where the trunk meets the lateral roots. Even though the slight infestation here isn’t anything to worry about, April reminds us to practice good sanitation by raking up all the leaf litter this fall to reduce the chance of re-inoculation of fungal spores next year. And since the fungal microbes here aren’t really a threat, you don’t have to send these leaves to the landfill. Go ahead and put them in your compost pile, or by the curb for green-waste recycling, if you don’t compost. Remember to keep mulch a few inches away from the trunk, but maintain it to a depth of two to three inches out to a distance of at least three to four feet. Mulch around trees is very important for several reasons: it limits competition from turf, insulates soil temperatures, feeds the soil microbes with decomposing organic matter, and just generally creates a better environment for roots. Trisha and special guest Barbara Wise head into shade to brighten up dappled light with flowers, structure and ground covers.